So maybe I have a problem. The coat addiction is real, and it doesn’t look like it’s going to ease up anytime soon. I just really don’t think you can go wrong with a coat, so I choose to wear one all the time. This particular beauty is from Simons, and I love it. It’s menswear-inspired, and reminds me of an oversized blazer. It’s super comfy, but not very warm. It does, however, fit well over chunky sweaters, so I’ll just layer it to death in the winter. 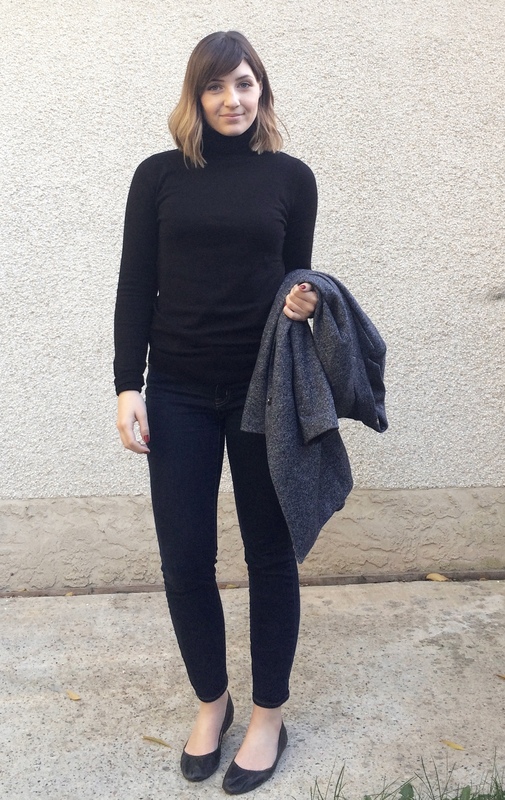 I’ve paired it with a black turtleneck that is also from Simons, because really, what’s life without a good turtleneck?! 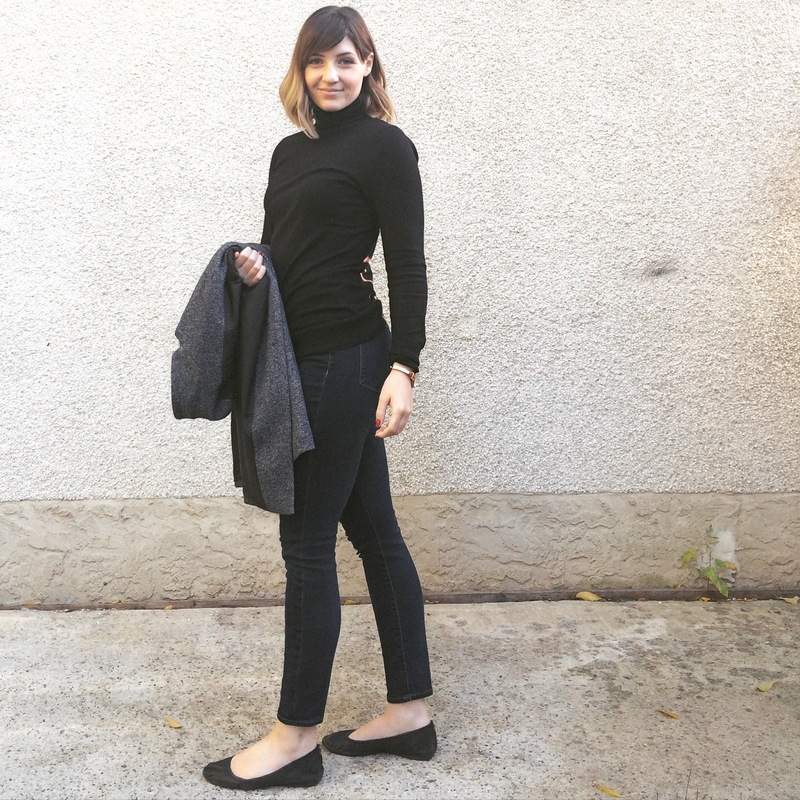 My jeans are from J.Crew, and the flats are my go-to Sam Edelman’s. Well that’s all, folks. I hope you’re enjoying your week, and I will talk to you soon. Every year the adorable little small town that I call home, puts on this Street Market downtown. 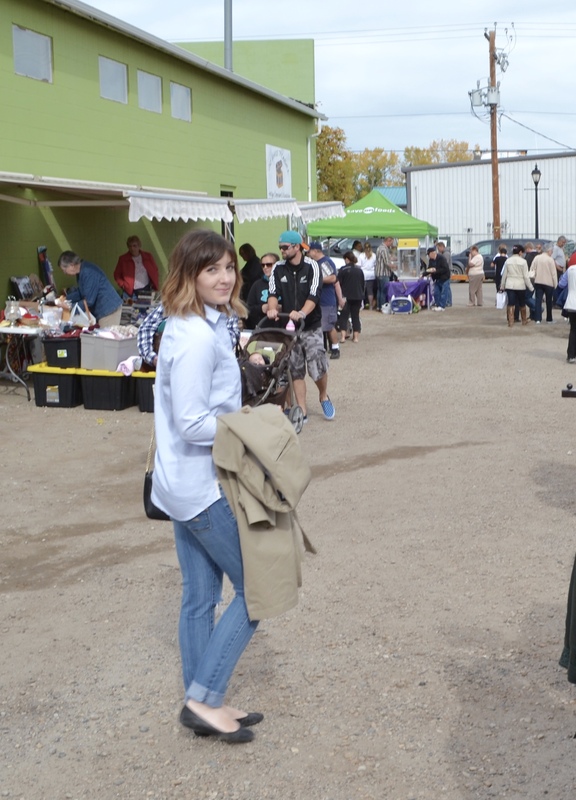 It’s essentially a giant garage sale, and it’s fabulous. It has been several years since I have attended the market, so today, my dearest mother and I decided it was about time that we went. 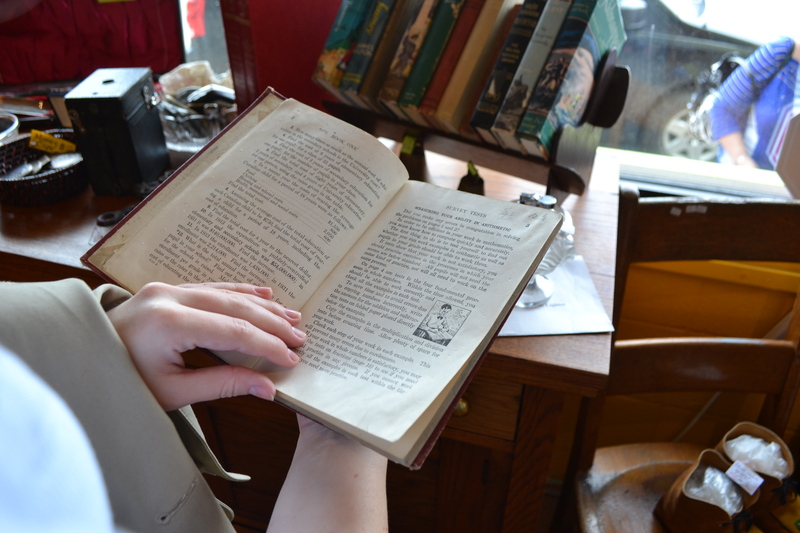 We wandered through alleys and streets lined with tables full of old treasures. Treasures being a very subjective word of course, but any place where you can buy both fine china and a Thighmaster is gold to me. Since we were walking everywhere, I went with a more comfortable look. I am wearing an Oxford button-up from Simons, a lovely trench coat from The Gap, a pair of ripped American Eagle jeans, and Sam Edelman flats. Once again, it’s clear that I have a thing for coats. 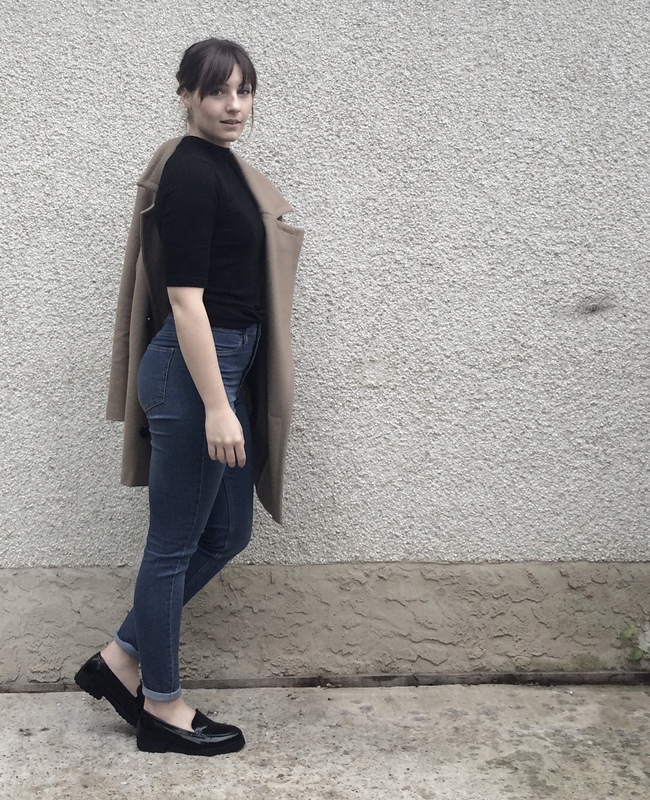 This trench is fantastic because I can easily wear it year-round. I got it this spring and it has definitely earned its keep. All in all it was a really nice day. Turns out small town living isn’t all that bad. I hope you’re enjoying your weekend, too! Here’s to another great week ahead. l got my first Salted Caramel Mocha from Starbucks today, so I guess that means fall is finally here. Like every other person, fall is my favourite season, and I have been patiently waiting for its arrival since last fall ended. 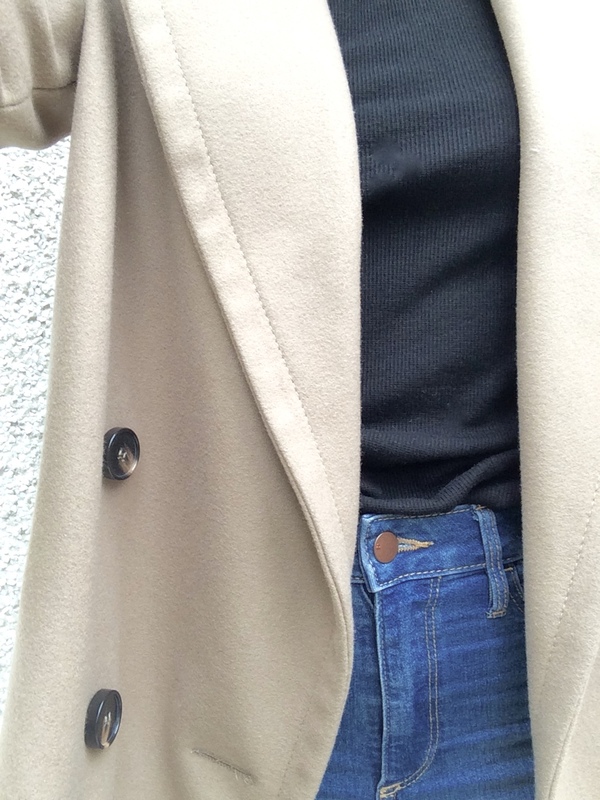 For me, fall means coats and that gets me very excited. I have such an obsession with coats. I love them all, but I do have one in particular that, dare I say, I love the most. I purchased this one from Topshop probably two falls ago now, but the style is so classic that I’ll just keep wearing it until it falls apart. 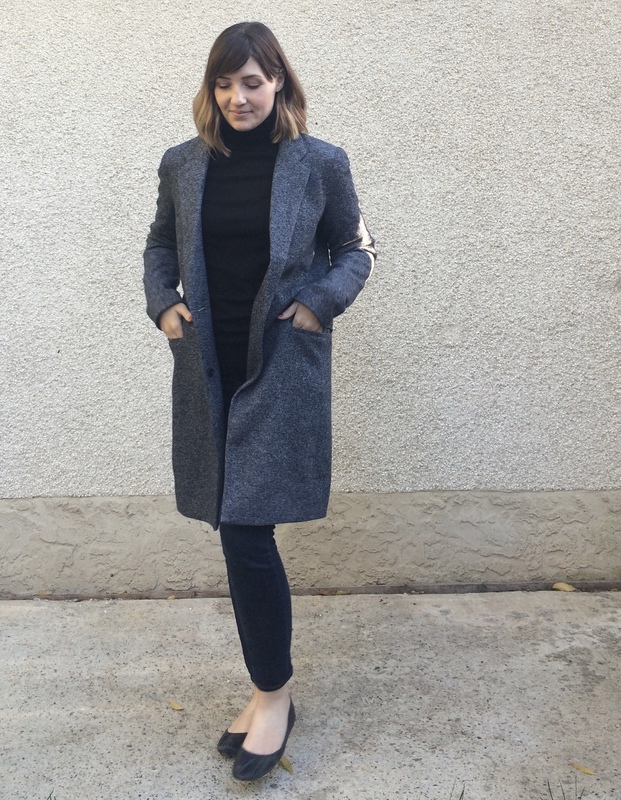 The versatility of this coat is what makes it such a staple in my fall wardrobe. You can dress it down or dress it up. It’s a neutral so pretty much every colour is fair game, including patterns–it looks great with stripes. 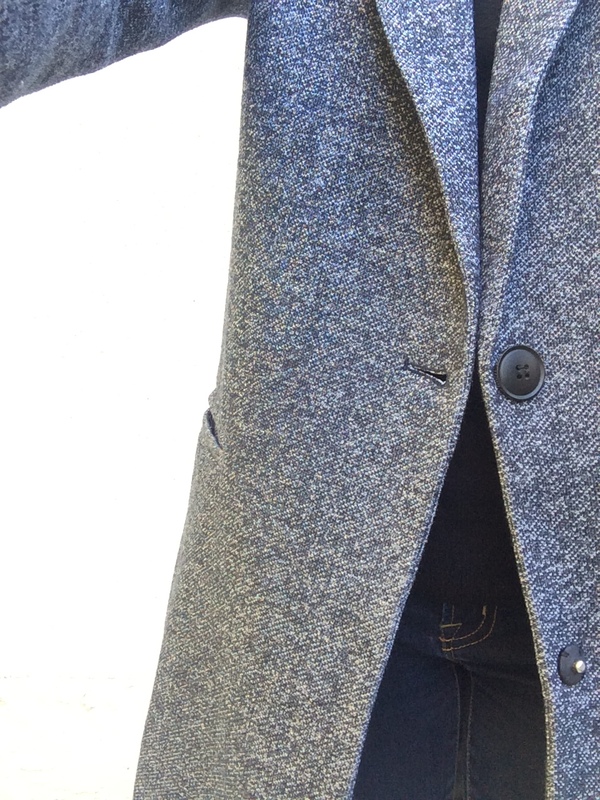 I’ve chosen to style this coat with denim and black, simply because black is my favourite colour ever. The top I’m wearing is from Winners, my jeans are actually jeggings from H&M, and my shoes are from Steve Madden’s current fall collection. Thanks for checking out my post! I hope you’re enjoying the beginning of fall as much as I am!